Last Thursday the President was in Miami for the 2015 Hurricane Briefing at the National Oceanic and Atmospheric Administration (NOAA)’s National Hurricane Center. Briefing topics included forecast details for the coming hurricane season as well as an overview of technology, tools, and teams supporting preparedness and response efforts led by NOAA, the Federal Emergency Management Agency, the Department of Defense, and other Federal, state, and local entities. The briefing covered resources like the Administration’s Climate Resilience Toolkit, a website that provides centralized, authoritative, easy-to-use information, tools, and best practices to help communities prepare for and boost their resilience to the impacts of climate change. For instance, the Climate Resilience Toolkit’s Coastal Flood Exposure Mapper tool creates visualizations that overlay projections of future sea level rise with the locations of critical infrastructure in coastal areas, helping users to target preparedness and response efforts to high-priority areas. The Climate Resilience Toolkit is one example of the resources that individuals and organizations rely on for effective disaster preparedness and response. 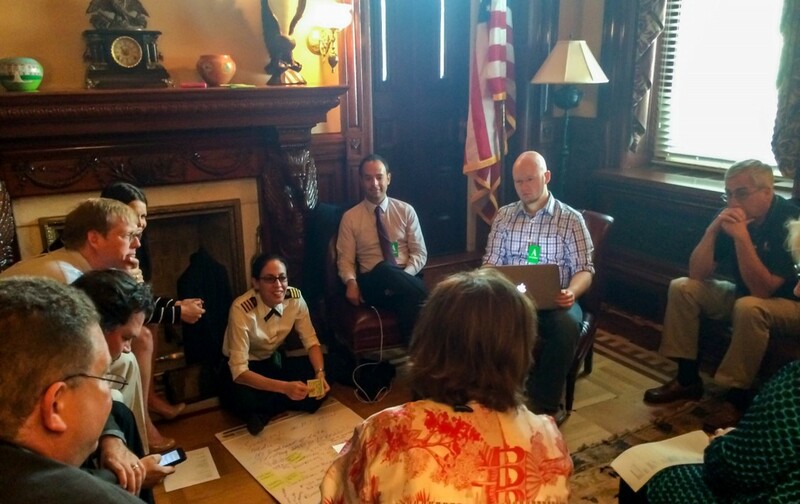 In the aftermath of Hurricane Sandy, in October 2012, the Federal government made it a priority to improve such resources by expanding engagement with a broad range of community members to contribute their talents, needs, unique skills, and perspectives in building tools and sharing information before, during, and after a crisis. 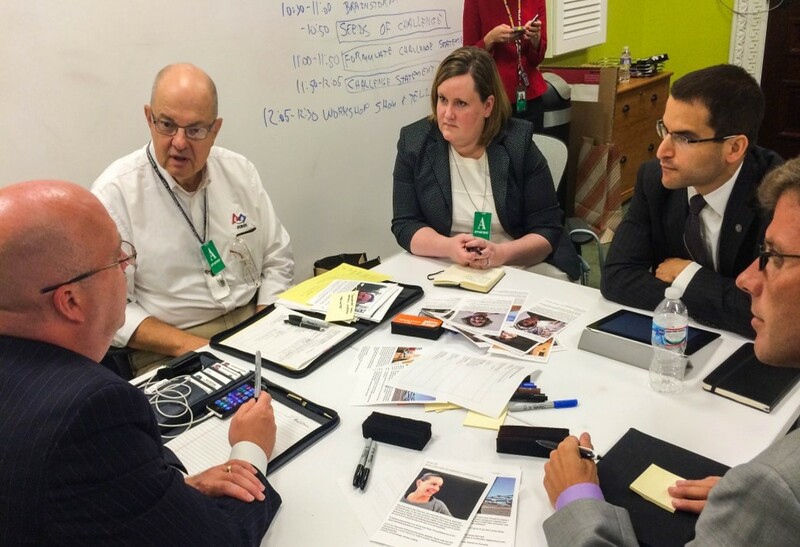 This led to the April 2013 launch of the White House Innovation for Disaster Response and Recovery Initiative — a government-wide effort to strengthen our ability to cope with disasters. 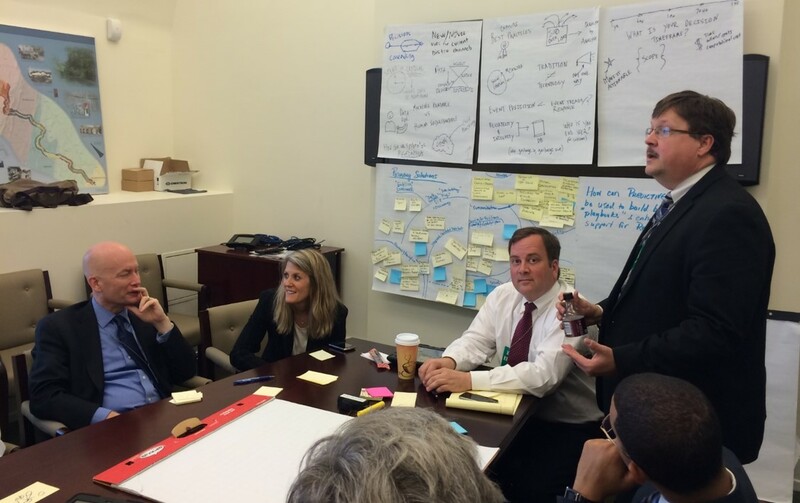 Since then, the Administration has continued to work collaboratively in the area of community engagement and crowd-sourced innovation to develop #disastertech resources to enhance our disaster preparedness and response capabilities. 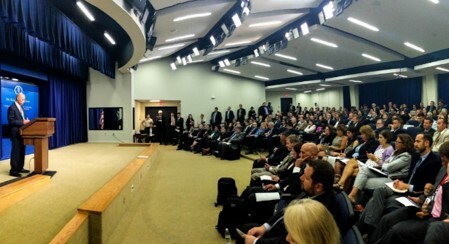 In July 2014, the White House hosted the Innovation for Disaster Response and Recovery Initiative Demo Day, which built off of an August 2013 Data Jam/Think Tank, a pilot initiative by the Department of Energy to provide an easy way to access power outage maps, and other prior innovation work. More than 1,500 people participated in the Demo Day in person or via livestream, including developers and representatives of agencies and technology companies who showcased tools built as part of this initiative to assist individuals and communities. The day also featured workshops to identify challenges to which open data, social media, predictive analytics, sharing economy platforms, standards, and user-centered design could be applied to improve disaster preparedness, response, and recovery efforts. At this event, the public and private sectors announced more than 30 apps and tools to help address the challenges that severe weather and other disasters can pose to our communities – including resources that leverage the sharing economy, crowdsourcing, and open data. 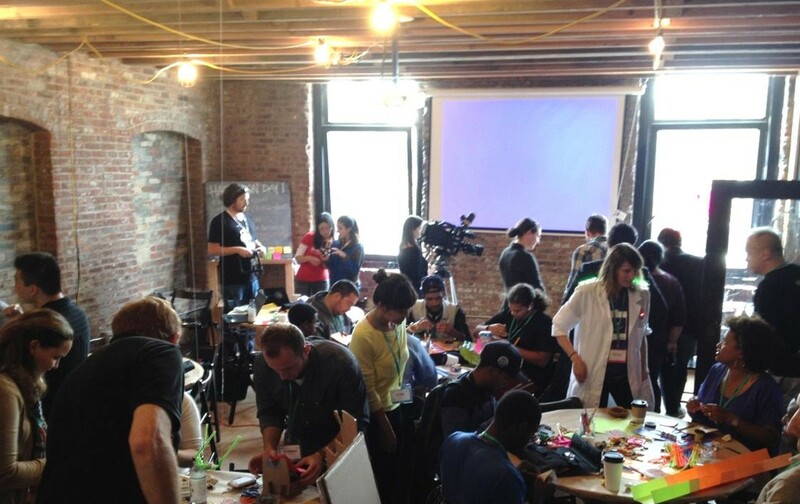 Participants at the Innovation for Disaster Response and Recovery Demo Day participate in breakout workshops. Citizen Power Brigade, a hybrid electric vehicle transformed into a source of mobile emergency power that on a single tank of gas in one week could charge 8,400 phones (12 million minutes of talk time) or run appliances such as refrigerators. Eskuwela Now, a “pop up” classroom in a shoebox that houses a multi-touch smartboard made from a Nintendo Wii remote, projector, infrared pen, and Raspberry Pi minicomputer — allowing educators and communities to set up a classroom for 10% of the cost of a typical smartboard. 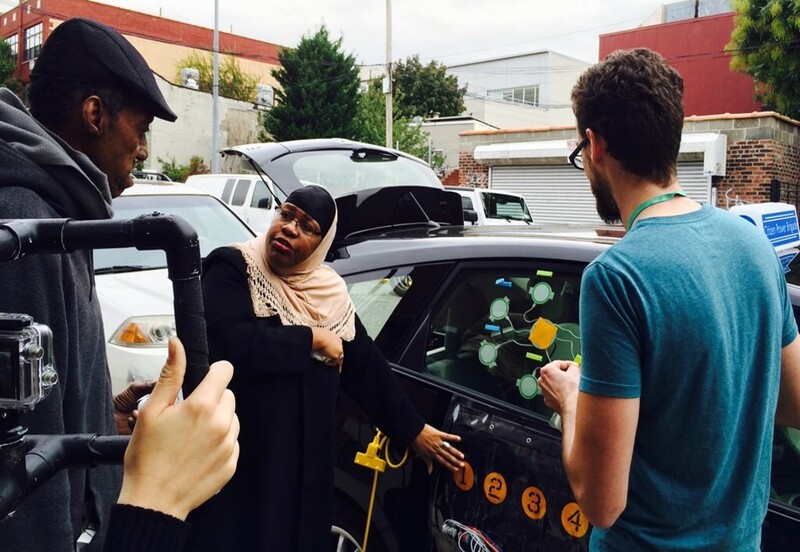 A Citizen Power Brigade hybrid electric vehicle transformed into a source of mobile energy power is demonstrated at (left) and other participate in (right) the October 2014 Civic Hardware Hackathon for Disaster Preparedness in the Brooklyn, NY neighborhood of Red Hook. 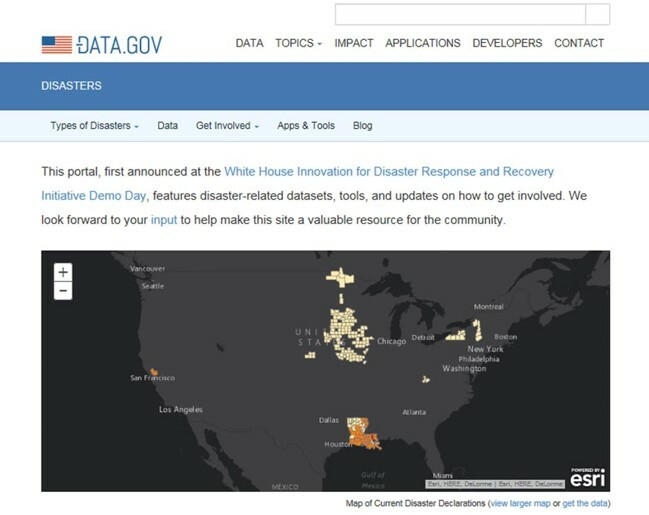 In December 2014, the Administration launched disasters.data.gov, an online portal that hosts more than 150 disaster-related datasets and tools (many of which came from the July 2014 Demo Day). The website includes a “Get Involved” section that houses challenge statements and a call-to-action for data stewards. disaster resilience exhibits to be shown at the first-ever National Maker Faire this June in Washington, DC as part of the Week of Making. The Department of Energy’s Power Service Area Mapping project, which provides details on power companies’ service areas and outage information. Thirty people worked on this project for two hours at the Mapathon, filling in crucial attributes such as Twitter feeds, online outage maps, and toll-free phone numbers for the 3,000 electric service providers serving the nation. The State Department’s MapGive program, which crowdsources open map data for humanitarian and development efforts. At the Mapathon, mappers built on the MapGive work that was done in the immediate aftermath of the Nepal earthquake, where in 48 hours more than 4,000 volunteer mappers edited data covering more than 243,000 buildings and 20,000 kilometers of roads. Each year, emergencies and natural disasters continue to challenge our communities and test our readiness. We encourage you to join us in taking action to build, leverage, and share #disastertech innovations! Megan Smith is U.S. Chief Technology Officer.